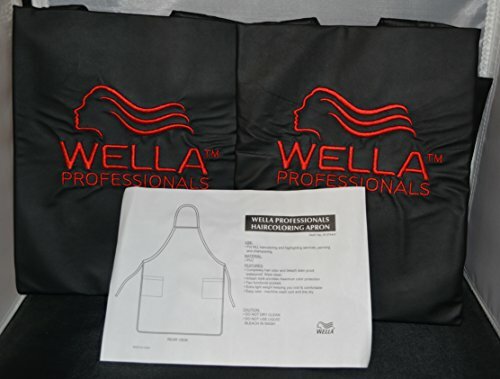 Black Apron with Wella logo in red on front. Made of PVC. Waterproof, bleach and hair color resistant. Has two functional pockets. Extra lightweight apron. If you have any questions about this product by Wella Professionals, contact us by completing and submitting the form below. If you are looking for a specif part number, please include it with your message.